This 1957 view shows the Third Street Expressway (Route 66) passing the Old Cathedral. The church was completed in 1834. In 1961, Pope John the 23rd designated the cathedral as a basilica. 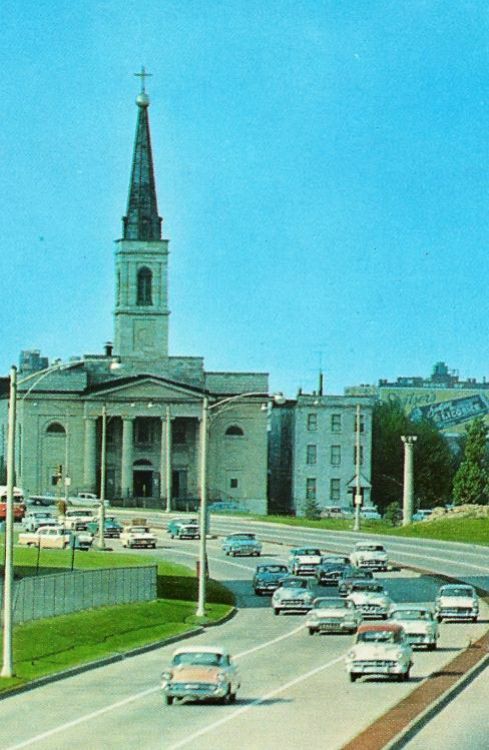 The Old Cathedral was the only building left standing when the riverfront was cleard for the Jefferson Expansion Memorial.